Seven people had to be hospitalized for treatment of their injuries after an SUV crashed into a hair salon in Seattle’s Columbia City neighborhood Thursday afternoon. According to news reports about the incident, several bystanders heard the vehicle’s engine revving moments before the crash occurred. 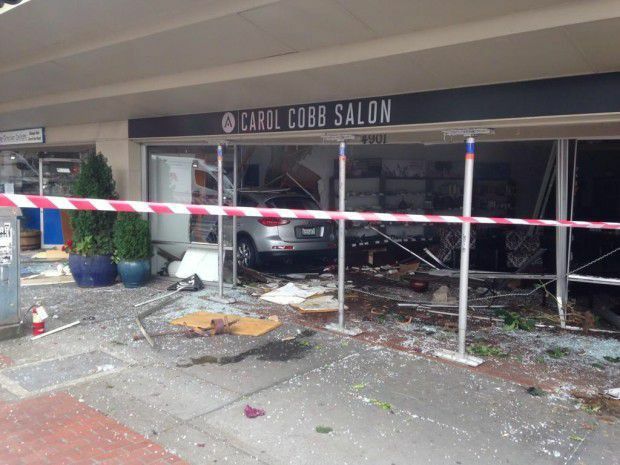 The SUV crashed through the front windows of the Carol Cobb Salon, which is located inside a historic building in the Columbia City neighborhood. Police say that the structural integrity of the building may have been compromised due to a concrete support pillar that was severely damaged during the collision. Two restaurants also located inside the building were also damaged in the crash, and the vehicle actually plowed through a shared wall between the salon and one of the restaurants. The incident occurred just after 1 p.m. Thursday, when a female driver in her 40s apparently lost control of the vehicle and crashed through the front of the business. A mother, father, and their 10-year-old daughter were reportedly pinned by the vehicle and had to be extricated by emergency crews. They were taken to Harborview Medical Center to be treated for their injuries. A young boy and his mother who were inside the salon were also injured in the crash, and they were taken to Harborview as well. Two other people suffered minor injuries but declined medical aid, according to the Seattle PI. Vehicle-into-building crashes are a head-scratcher for most people, as it’s often difficult to understand how a driver could lose control of a vehicle to the point that it crashes through a building. However, it’s actually quite the common occurrence, as one study suggested that these types of collisions happen roughly 20 times every day in the U.S.
What you’ll often find in the news articles about these crashes is an interview with the business owner or an employee of the store, who might make note of another time that a vehicle crashed into the same building. Interestingly, this was the case on Thursday, as the owner of the salon mentioned that a vehicle had crashed into her business approximately 10 years ago, though she said the damage was worse this time. The police have not yet made a statement on what they believe caused this vehicle to crash into the salon, but surely the results of their investigation will be made public at the appropriate time.